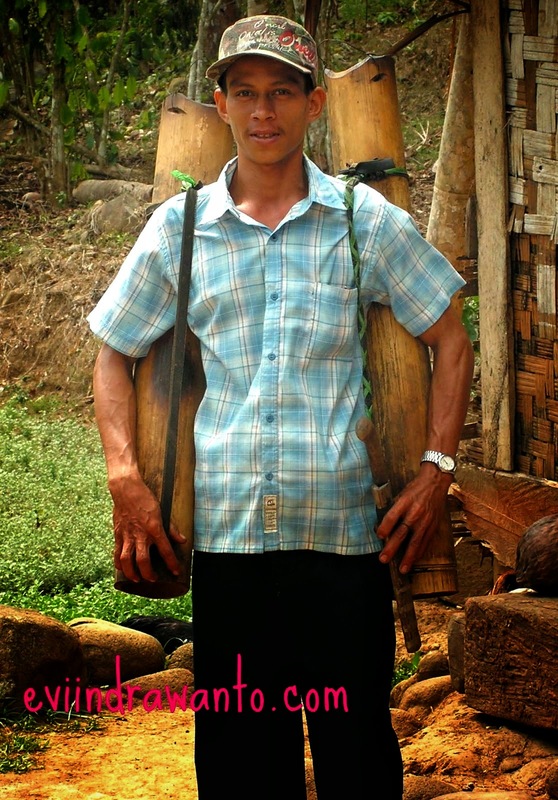 Kang Wadi, a tapper and palm sugar maker was actually about going to market to sell his work. Please note the watch he was wearing. He did not wear it in everyday life. But because I need his picture with lodong (bamboo tubes to accommodate of palm juice) then he happily posed for me for a while.